Chocolate can be difficult to work with – in its solid state, it is relatively stable but once it has melted, there are various ways it can go wrong. Perhaps the most common problem faced by budding chocolatiers is when chocolate seizes and forms into a dull, clumpy mass. Overheating chocolate (anything over 46°C will do it), adding cold substances or getting any liquid (even a teaspoon) into melted chocolate can make chocolate seize up in this way because the sugars in the chocolate lump together and separate from the fat, rather than harmoniously melding together as happens in successfully melted chocolate. But don’t despair! This chocolate can still be used (as long as it isn’t burnt) so don’t bin it immediately. If the chocolate has seized because it has been overheated, try stirring in a couple of pieces of solid chocolate (this will not work if the chocolate has seized from moisture). Or adding fat to the chocolate can bring it back – the ideal fat to use is cocoa butter however if you don’t have any, try vegetable oil. 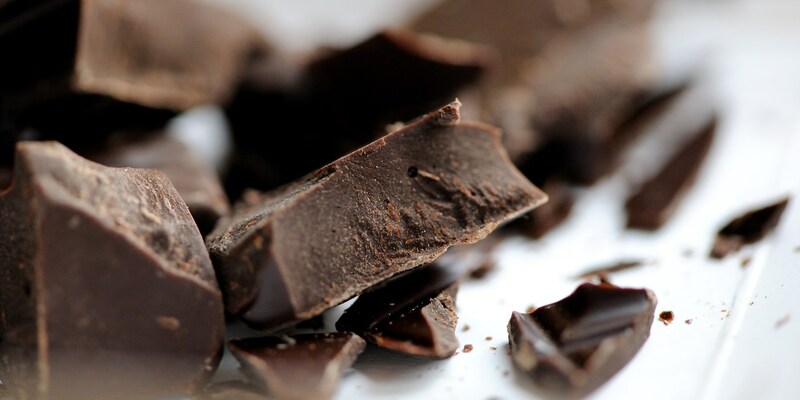 This fixed chocolate won’t create perfectly melted chocolate as it would have before but can be used to make ganache, or in cakes, brownies and cookies. You can also make a chocolate sauce from seized chocolate by whisking in milk or cream.